 OLD COUNTRY WOOD PRODUCTS LTD. - About Us. 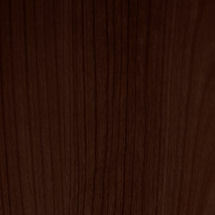 Old Country Wood Products manufactures high-quality, value added custom millwork. Products include Custom wood turning, profile moulding, rope moulding, wood moulding accessories such as soft corners, rosettes, plinth blocks, casing corners, curved moulding, polymer reinforced wood products such as ceiling beams, posts, and corbels. OCW operates from three industrial buildings comprising of two warehouses of 6,000 sq.ft and the main manufacturing plant of 22,000 sq.ft which contains all manufacturing equipment, finishing booths and dry kilns. 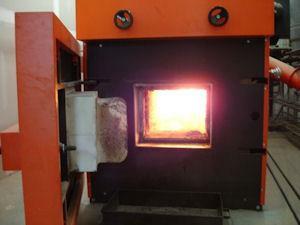 The main building is heated by a 1.2 million BTU biomass furnace fired by our wood waste that also powers our dry kilns. 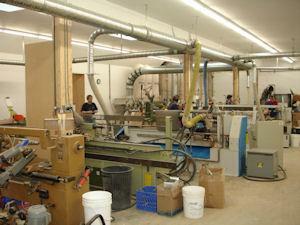 Our company specializes in custom-matching moulding accessories to customers moulding profiles. 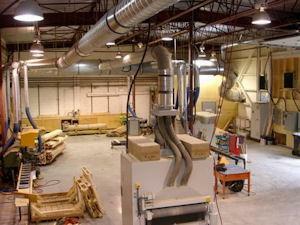 The equipment for this process uses state-of-the-art technology to achieve a perfect match. OCW's operation features a wide variety of machinery from wood lathes, dry kilns to CNC equipment which enables us to manufacture an extensive range of wood products. 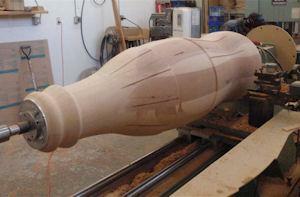 Also much of the machinery has been customized utilizing Old Country's in-house machine shop. 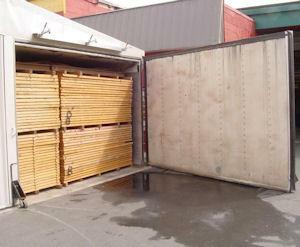 OCW buys local green lumber and we dry it in our kilns. Owning our own kilns has resulted in easier access to wood as it has allowed us to buy direct from mills and timber salvage companies. Whenever possible we use local woods such as Douglas Fir, Red Cedar, Alder, and White Pine.